The largest cancer analysis to date has explained the molecular fingerprints of the mutational processes that cause cancer. 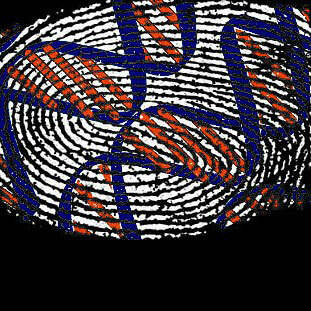 This has paved the way for future studies to identify the causes of these molecular fingerprints, including one that could be responsible for 17 per cent of all cancers. The body of a person contains approximately 30 trillion cells. Cancer arises when just one of these cells starts to behave abnormally, evades the body’s regulatory mechanisms, and divides uncontrollably. This cancerous cell usually invades nearby tissues and (if not treated properly) it may result in the death of the person. This single cell starts to behave abnormally due to changes in its genetic material. Generally, we refer to these genetic changes as “somatic DNA mutations”. While we know that somatic DNA mutations cause cancer, our knowledge of the processes that have caused these somatic mutations (and as such are the origins of the cancer) is remarkably limited. Nevertheless, we do know of several mutational processes that occur in our cells. For example, we know that when a cell divides, it could sometimes make mistakes while copying its DNA. We also know of a few processes that are due to lifestyle choices or the environment one lives in. For example, smoking tobacco products increases the risk for many different types of cancer and dwelling in a house that was built with asbestos increases the risk for certain types of lung cancer. However, for most cancer types, we do not know which are the mutational processes involved in their development. During the last several years, large-scale international initiatives have generated detailed molecular characterisation for many different types of human cancer. We examined these data to provide a better understanding of the mutational processes involved in 30 types of cancer derived from 7,042 patients. Our analysis relied on a previously developed mathematical approach that can recognise mutational processes based on their unique molecular fingerprints. For more information about this approach, see my previous blog ‘Cocktail parties and cancer genomes’. Examining the 7,042 cancers revealed more than 20 distinct molecular fingerprints of mutational processes. We were able to identify some of the already known mutational processes, such as exposure to ultraviolet light in skin cancer, tobacco smoking in lung cancer, failure of DNA repair mechanisms and others. However, the origins of most processes remain unknown. Perhaps, most notably, we identified a mutational process (with a unique molecular fingerprint) in 16 of the 30 cancer types and approximately 17 per cent of all patients, making this mutational process one of the strongest (if not the strongest) causes of human cancer. We have speculated that this process is most likely due to the activity of a family of proteins, known as APOBEC; however, future studies will be required to unequivocally confirm our hypothesis. Researchers at the Wellcome Trust Sanger Institute are continuing to focus on these unknown mutational processes in the hope of understanding more about the causes of cancer. This understanding could have significant implications for developing future cancer prevention strategies or targeted cancer treatment approaches. Ludmil Alexandrov is currently a PhD student in the Cancer Genome Project where he works under the supervision of Mike Stratton. Alexandrov, LB et al (2013). Signatures of mutational processes in human cancer. Nature. ← Should we really be scared of bats?